AUGUSTA, Maine — Gov. Paul LePage blasted the Maine Department of Health and Human Services and others Wednesday for a “comedy of errors” that preceded the death of a 10-year-old girl allegedly tortured and killed by her parents in Stockton Springs last month. The Republican governor’s interview with WCSH is the most detailed response to date from any state official regarding the case of Marissa Kennedy, though the LePage administration has said that multiple internal reviews of the case are underway. DHHS Commissioner Ricker Hamilton told WCSH on Wednesday that he can’t comment on the case because of confidentiality statutes. However, LePage told WCSH that DHHS was involved with Kennedy’s family and the family of 4-year-old Kendall Chick of Wiscasset before their deaths. Shawna Gatto, the fiancee of Chick’s grandfather, has been charged with murder in the Wiscasset case. Kennedy’s mother, Sharon Carrillo, and her stepfather, Julio Carrillo, are also charged with murder. LePage blamed Kennedy’s death on DHHS, entities that are required to report suspected child abuse such as schools, and law enforcement agencies. 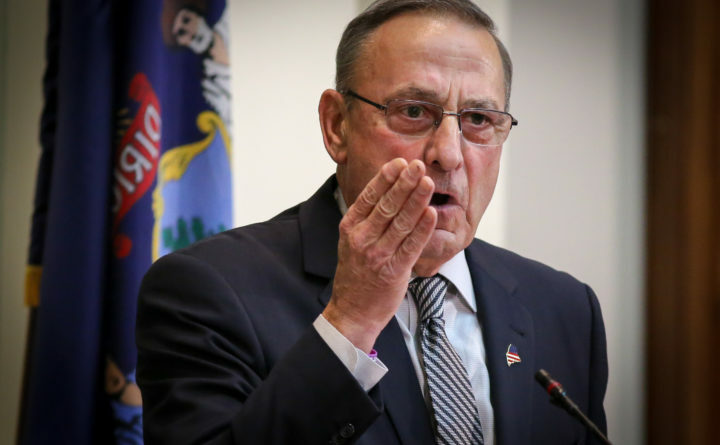 “Everybody here messed it up,” LePage said. LePage criticized the Legislature for its failure to support some of his domestic violence prevention proposals in past years. His spokeswoman did not respond to questions about which proposals he was talking about but highlighted a successful 2013 governor’s bill that strengthened mandatory reporting requirements involving children younger than 6 months old. LePage said “the laws that are on the books are so ambiguous and so weak that we can’t do our jobs.” He said he is considering making new proposals this year but didn’t explain what they would be. DHHS hasn’t responded to interview requests from the Bangor Daily News since Friday, and the department’s spokeswoman didn’t immediately respond to a Wednesday request for comment. The governor’s office said in response to questions from the BDN Wednesday that it couldn’t go into any more detail.